Last week, both houses of the legislature met for the final time in the regular 2017-18 legislative session. The legislature took up issues ranging from a sales tax holiday to school safety. According to legislative leaders, neither house currently has intentions to take up any more bills this year. The State Senate met on Tuesday to amend and pass a proposal that creates a sales tax holiday in August for back-to-school items. It’s expected to cost the state approximately $12 million. Additionally, the Senate passed Governor Walker’s proposal to provide a $100 per child tax credit to Wisconsin families. Democrats bashed the plan as a vote-buying gimmick in an election year. 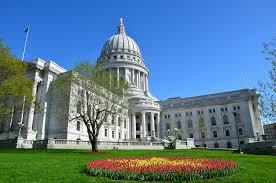 The State Assembly concurred in both proposals on Thursday. Both houses also took up school safety proposals. Originally proposed by Governor Walker, the proposals came in the wake of the Florida school shooting last month. Ultimately, the legislature passed a package that provides funding to improve safety measures at school buildings and opportunities to train staff on emergency situations. The package also requires mandated reporters to report threats of school violence to law enforcement and requires school districts to update school safety plans. In total, the package costs the state $100 million. It passed both houses on heavily bipartisan votes. On Thursday, the State Assembly unanimously passed a proposal to require state background checks on rifle purchases. The state currently operates a background check system for handgun purchases, but not rifles and shotguns. The proposal, as passed by the Assembly, requires the background check system to be used for purchases on rifles and shotguns. However, the proposal’s fate is not certain. In order to become law, the State Senate would need to approve it. Senate leaders have previously stated they do not plan to come back for another floor session. On Friday, Senate Majority Leader Scott Fitzgerald told reporters he does not see the proposal moving forward. As of Friday, Governor Walker’s office has not indicated whether or not Walker supports the proposal. If last week truly was the final floor days of the 2017-18 session, the legislature will not meet in regular session again until January 2019. If 2018 turns out to be the wave-Democratic year political spectators predict, the make-up of the legislature could be drastically different. Republicans are planning for a major effort to retain their majorities in the legislature as well as their seat in the governor’s office.